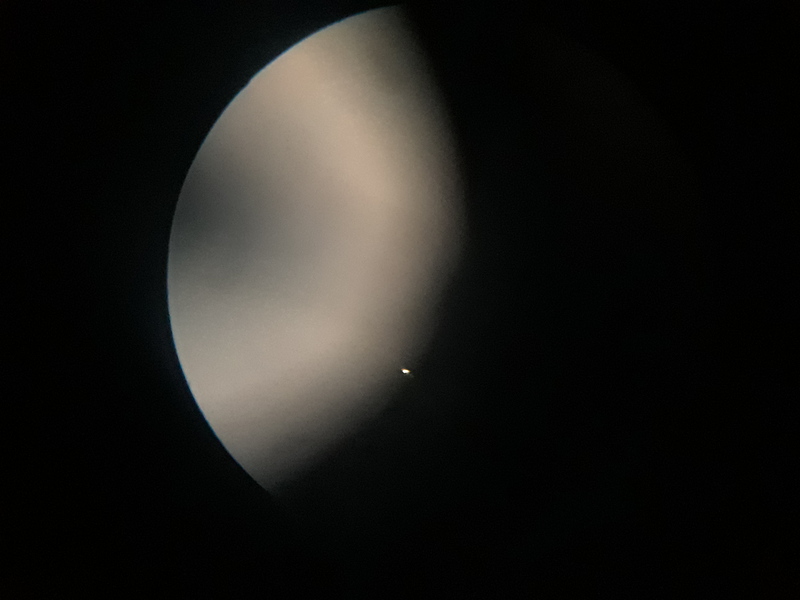 Hi guys, i was looking at the moon one evening through my small telescope when i saw a star like object at the right lower corner of the moon. it was out of focus but i knew no stars resided between the earth and moon. so, i focused in on the object i could see randomly flashing lights of variuos colors underneath it. 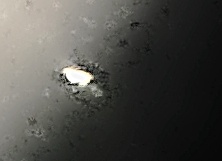 i have had many experiences with seeing ufos of this type in arizona and calif over the years but never was able to capture a photo or video. this time i think i got lucky. i put my cell camera and shot a few. (the moon is out of focus in the background). im sending you the original plus one i was able to clean up a bit. you have to zoom 1000x to see it on the original but the second one is already zoomed at that power. these are in the sky on a nightly basis, have been for years now. i think you will find it as interesting as i. i mean, its obvious we're not alone. why wont they admit it. we could learn so much. a total waste of humanities time. thanks for listening, hope this helps somehow, you guys do great work. sincerly: brian m. crinion mesa az.